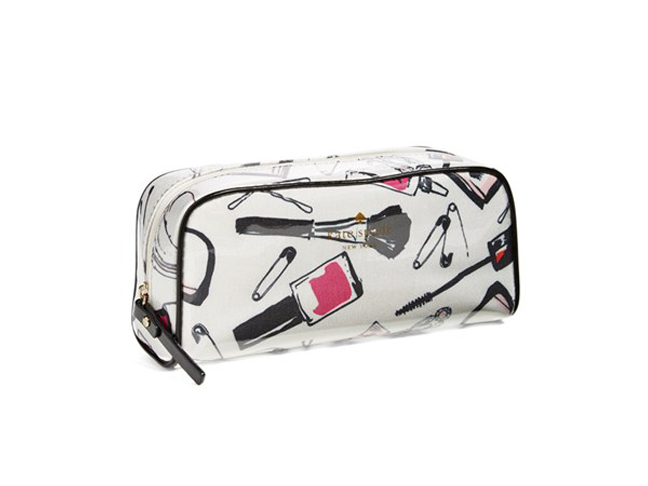 Cute makeup bags and organizers always catch my eye, and I’m constantly on the lookout for new ones. When it comes to storing my makeup, sometimes it gets a bit stressful as the clutter of tiny tubes and compacts add up. Especially when you’re rushing in the morning to get ready, it’s nice to know exactly where everything is that you need. Some of my go-to stores that I think sell the best makeup bags and organizers are Nordstrom, Sephora, and Target—and I’ve also found that the easiest way to store makeup brushes is with a colorful little DIY project below as well. 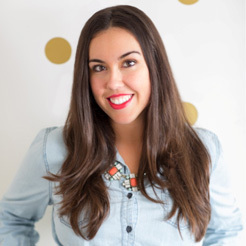 Check out my favorite ways I keep all my makeup easily accessible and in place! 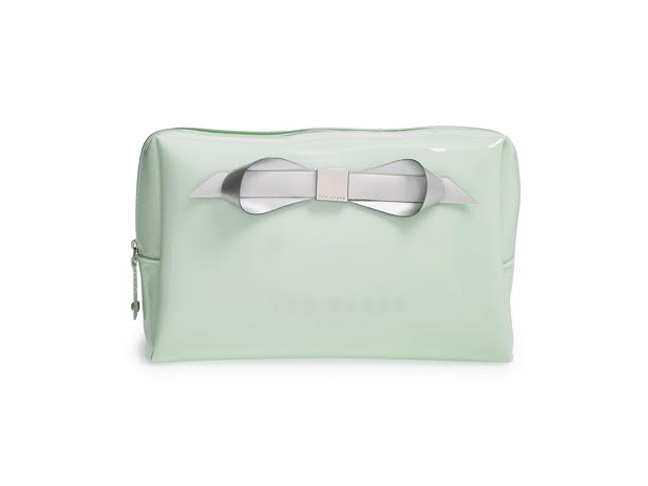 This Ted Baker makeup bag is mint heaven! The color and bow are so adorable, and the size is perfect for larger products, such as foundation and powder. Oh Tory Burch, you have done it again. 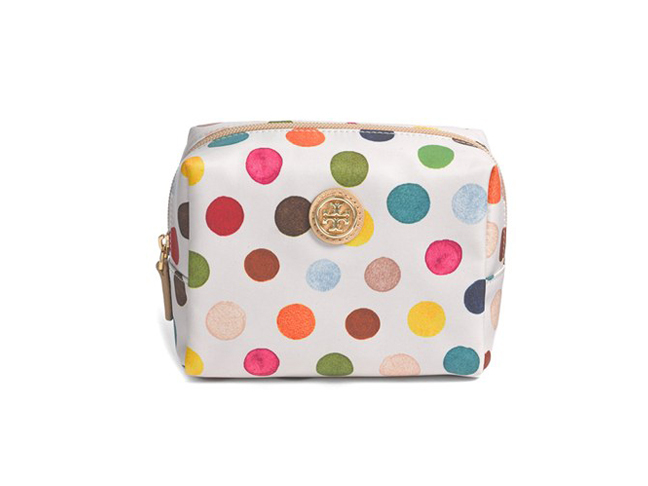 This playful bright polka dot makeup bag is everything I have ever wanted! Because of it’s smaller square shape, this would be great for organizing lipsticks and brow products. Sometimes when I am at a big event or out and about, working long hours, I like to carry a “makeup emergency bag.” I bring some of my favorite essentials for touch-ups. This long, narrow bag by Kate Spade fits perfectly in my favorite everyday tote purse. 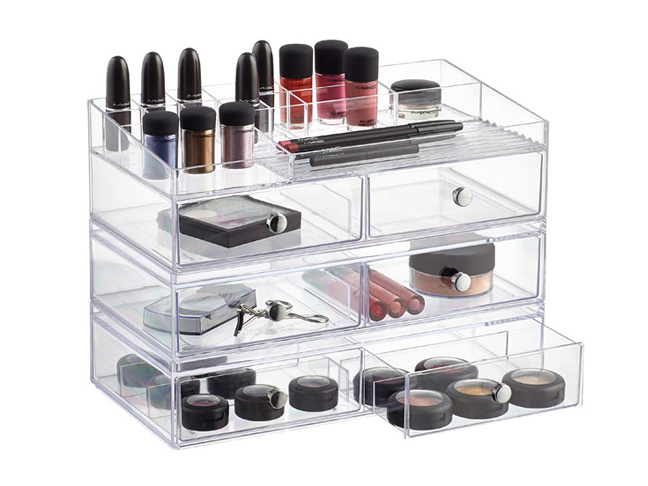 I recently found this clear makeup-shelving unit at The Container Store, and it has changed my life. I love placing this on my bathroom counter. It is easy to find the product you’re looking for on a daily basis, and I love all of the drawers. You can order them separately to build the unit as big or small as you want! 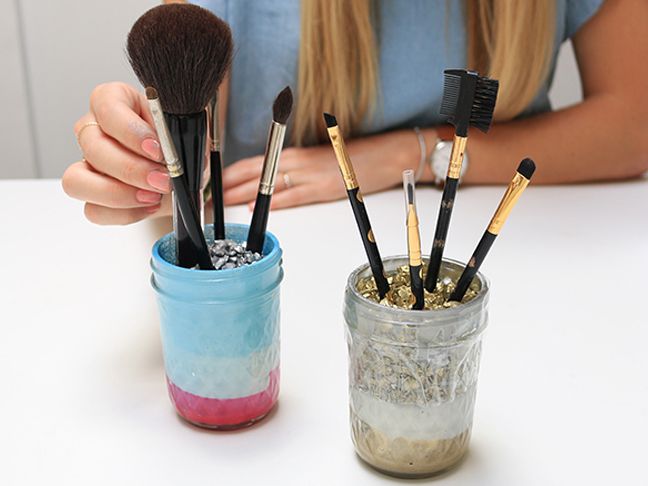 I like to store my makeup brushes in my DIY mason jar holders. They are so cute! Check out the full tutorial here.